I had a Intranet application that used Telerik's Kendo grid and it was causing some display problems in IE. I found that on some user's browsers it was displaying badly, whereas on mine it was fine. Use IE's developer tools. Inspect the Browser Mode and Document Mode settings. Browser Mode controls the User Agent string that is sent to the server identifying the client type. Document Mode determines the layout mode that the browser uses. 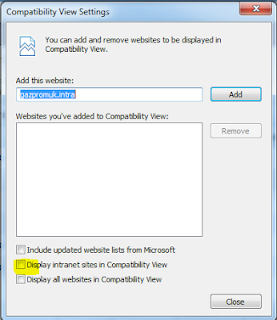 When the page was being displayed badly the Browser Mode was set to IE9 Compatibility View. Some users had Compatibility View turned on for all Intranet applications. Adding the following to the application's Web.config will invite the browser to use a specific document mode.